It's been a couple of days but the accident in Makati where 10 people were killed are still making waves both on TV and radio. Eton Properties, the glass contractor who employed the killed workers and the safety regualations and standards of both companies are the center of investigation now. I heard someone commented over the radio that charges will be made against those responsible for the accident. I wonder who? A lot of people will hate me for writing this and might find me insensitive. But as an Industrial Engineer who has a bit of knowledge on Occupational Safety and Standards, this very sad accident could have easily been avoided had people used their good judgement. It's only but proper to conduct thorough investigation to find out the cause of the accident. But is it not glaring that the very cause of the workers' death was that they didn't follow the safety instructions? The platform or gondola they rode (instead of taking the stairs) from the 32nd floor on their way down to eat their lunch has a capacity to hold only 2 people, 3 at most. But 11 people boarded that thing thereby overloading it. This is not to say the workers are entirely to blame for their death. Who wants to die that gruesome death, anyway? Safety procedures are meant to be implemented properly (by the company) and followed (by the workers) for it to be effective. But let's face it, we Pinoys are really a stubborn race. We comply better when someone is watching. Take traffic signs for instance; over half of the drivers on the road ignore traffic lights during the wee hours of the morning because there are no traffic enforcers. Heck, pedestrians cross EDSA, even with glaring warning Bawal Tumawid May Namatay Na Dito! Some cities even have to put steel fences just to ward off suicidal-lazy-stupid pedestrians. I wonder when we will ever change. After a couple of months people will forget the incident and never learn from it. Sooner or later another accident will happen again. Knock on wood. God forbid. For now we can only pray for the families of those who died and for the construction companies to be more strict in safety procedure compliance. I don't know how. Probably station one watcher every floor just to make sure the workers will follow procedures? I'm proud to present our new creative project... Snowy Gingerbread House! The kit was a gift from my friend Christy who went to Manila on vacation last week. 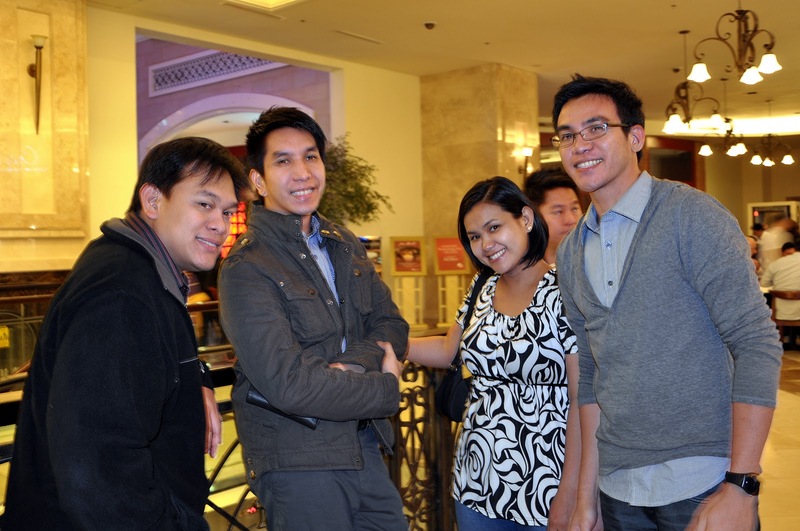 Christy and I met at a TQM workshop when both of us were still working at IHG. She's half Pinay but loves the Philippines so much she said she wants to live here despite being born in the US and raised (resides) in Guam. 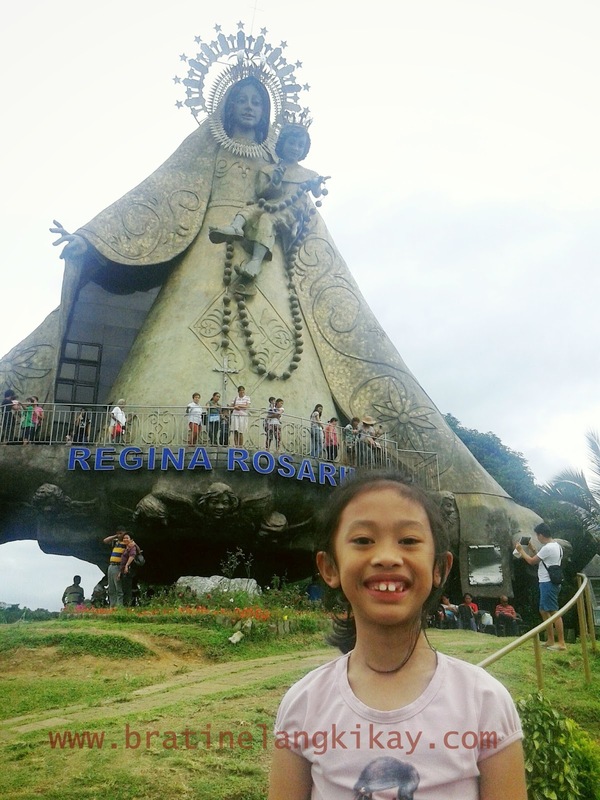 Anyhoo, after that workshop, we met a couple of times more and I even stood as godmother when she received her Sacrament of Confirmation. Last week, we met for dinner so I can see her son for the first time and she could see the kids too (she's seen Eone before when they attended Eone's first birthday party). 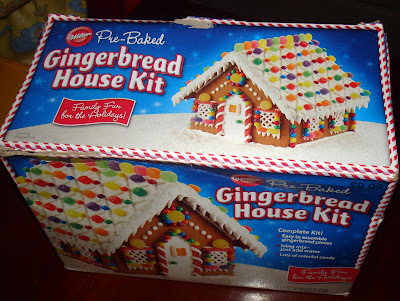 So the Gingerbread kit has been sitting at a dark corner of our house for days since it was given to Eone. 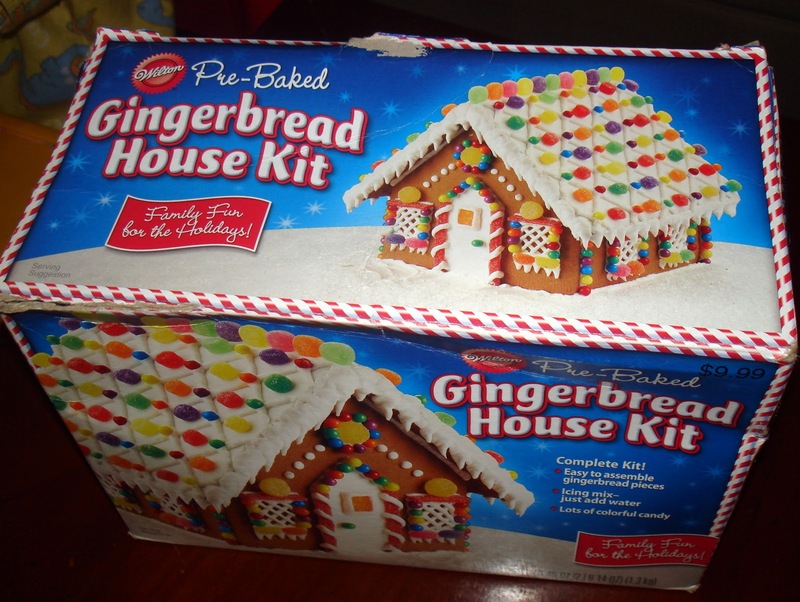 Everyday she would ask me when we can start building the house and I'd come up with a lame excuse of not having the icing yet. 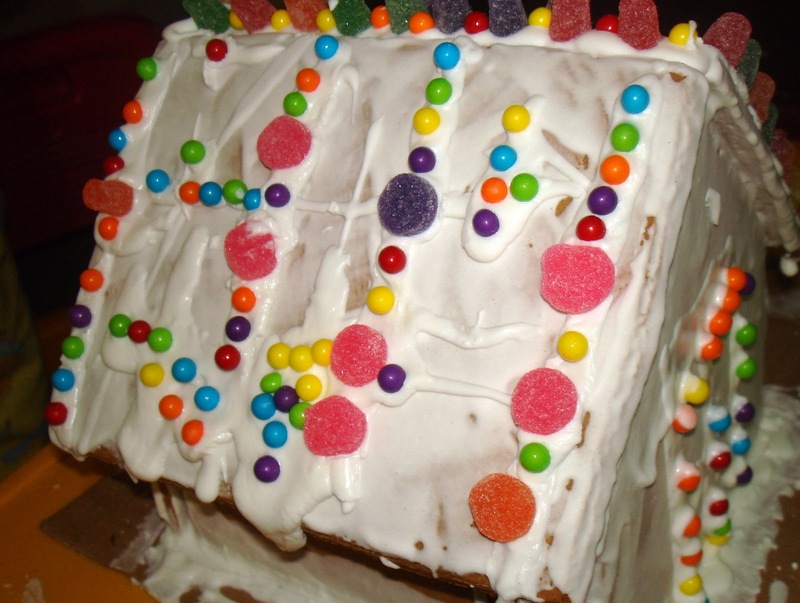 Anyway, I finally managed to make the icing magically appear and we made the Gingerbread House last night. It comes with a pre-baked house, icing mix, colorful candies to decorate and a decorating guide (which we didn't follow hence the outcome of our house). 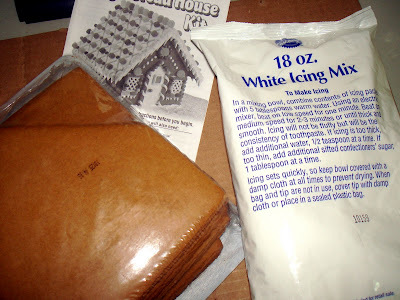 The instructiom guide said put together the house using icing as adhesive agent and allow to dry for 3 hours before decorating. Three hours is too long for the little girl to keep her hands off our little project so I decided to 'build' our house 'off-site; brought the kit to the office and assembled it while waiting for Jason to finish work. Imagine the delight of my darling Eone when she saw the house ready for her little fingers. 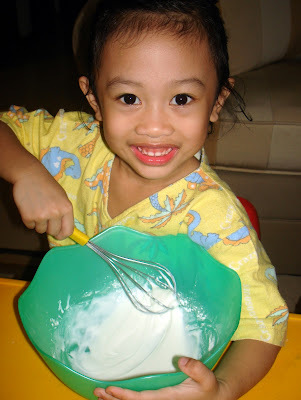 First things first, she had to mix the icing powder with water. We don't own a hand mixer so it was a very tedious task. Okay, the house wasn't supposed to be all white. But we messed up with the icing and couldn't get it into a paste-like consistency. Since we have a runny icing, we decided to 'paint' it on the entire house. We just pretended the house is covered with snow. 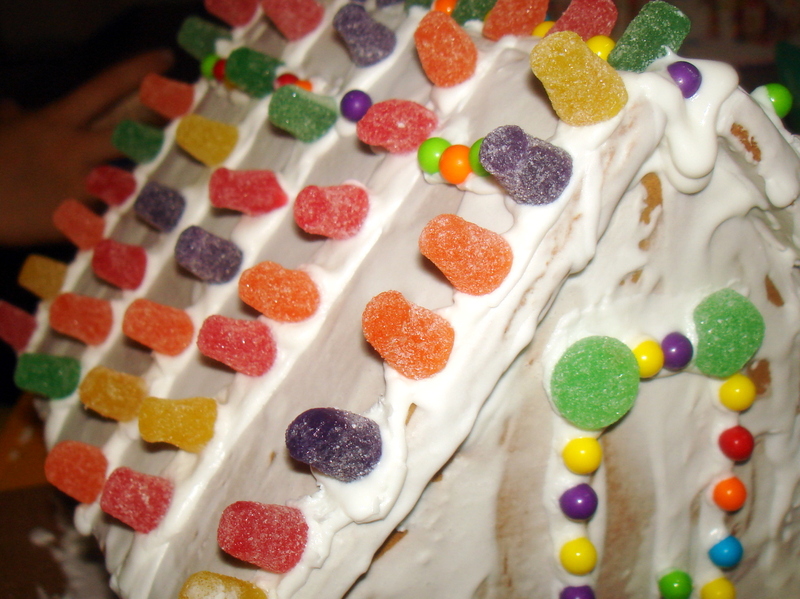 After putting on the icing, it wasn't that all difficult to put the candy decors on. Eone and I had one side of the roof each to get creative on. 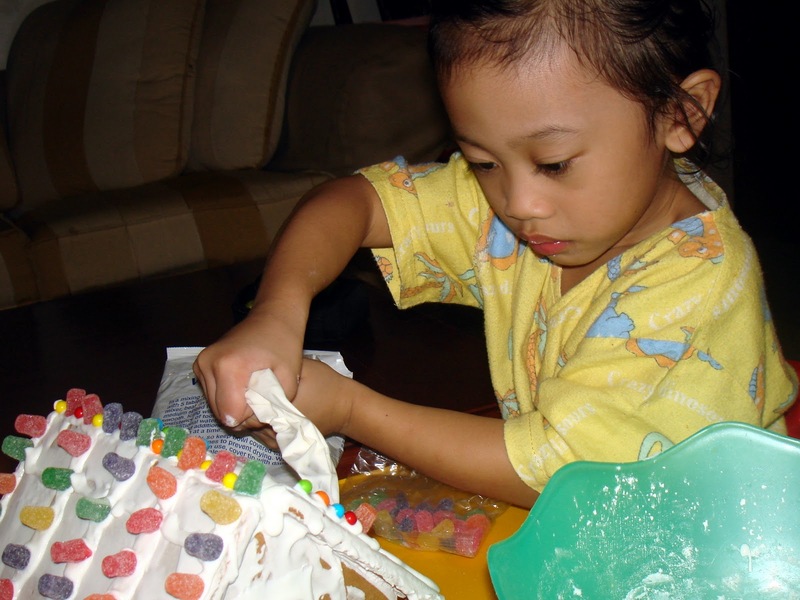 It was challenging using the icing bag, especially for me who had zero experience in baking. ﻿﻿Doing arts and crafts together is a great venue for me and Eone to bond. 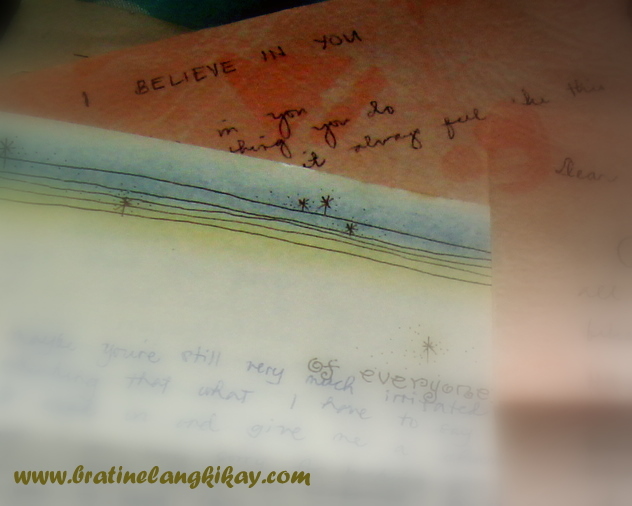 She has a very creative mind while I struggle with making something out of what she's imagining. Needless to say we get along pretty well in the play department. Thanks Christy for the lovely present! I wonder what our next project will be. Any suggestions? Yesterday was one of those weekends when I tried to sort out papers (bills, notes, bank statements etc) and uncluttered our room. Noticed how I used the word TRIED? Haha! 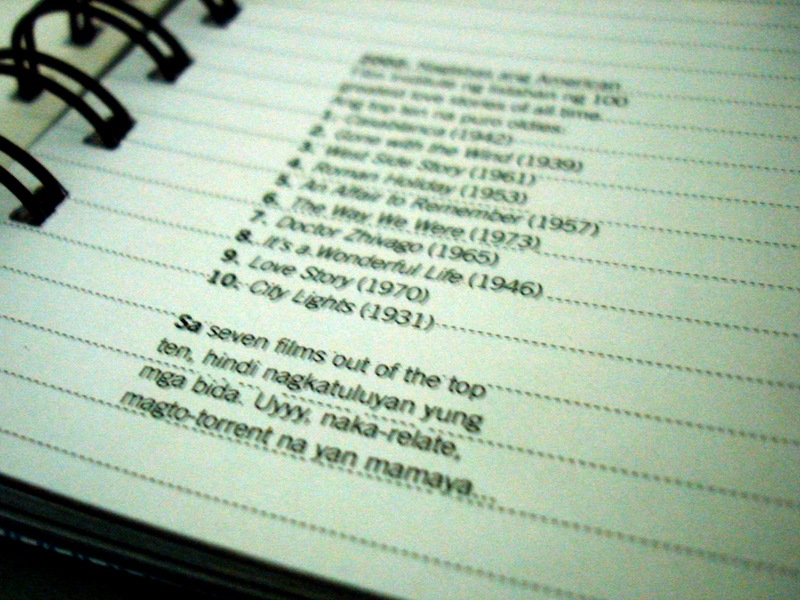 It's seldom that I get to finish everything or at least get half of the pile done. See, in the process of sorting, I often stumble upon some "great finds". Love letters I wrote for Jason when we were in college... made me wonder where I kept all his letters to me. 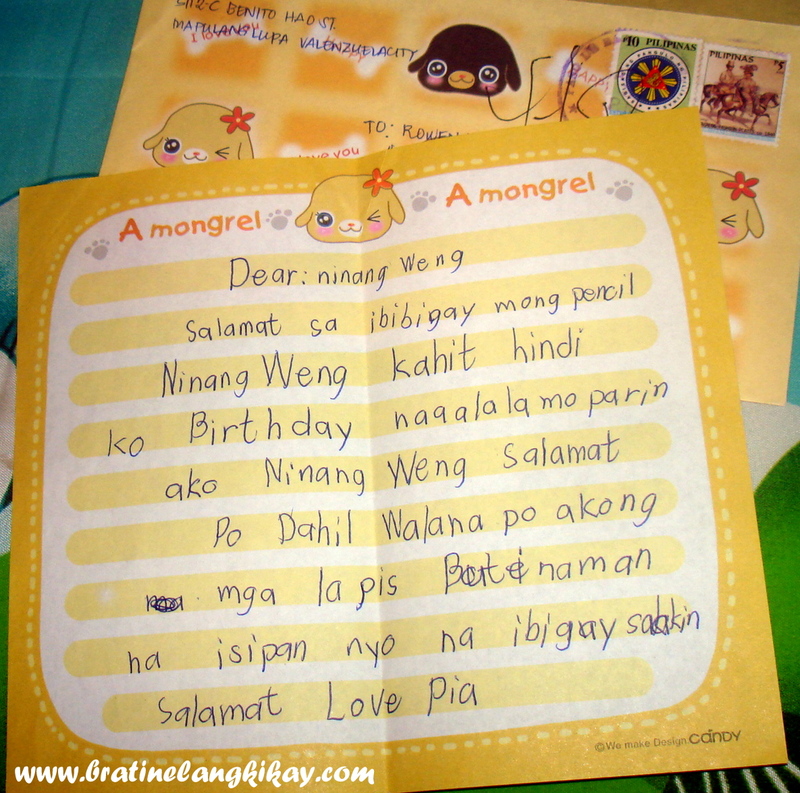 A letter from my cousin and inaanak, Pia, sent almost 9 years ago. She was 7 when she wrote me this letter; now she is 16 and ready to enter college. I must add it makes me proud that my dear god daughter wants to be an Industrial Engineer too just like me. 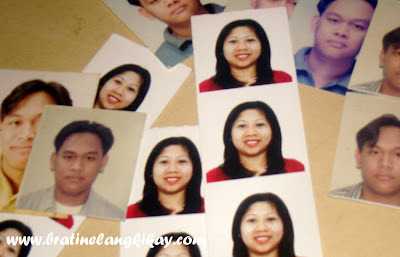 Some old ID pictures we weren't able to use up. 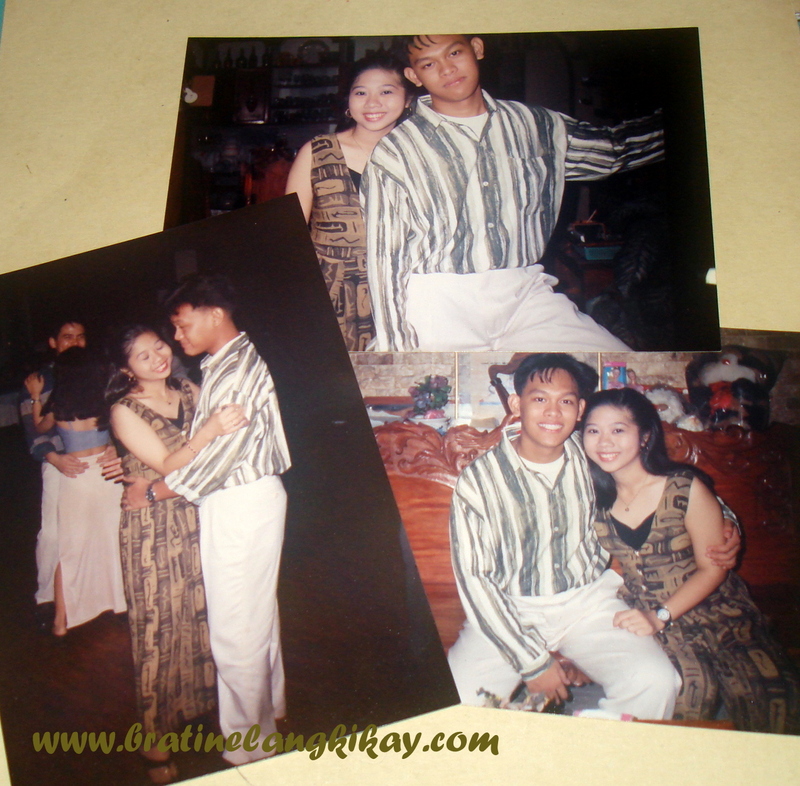 And last but not the least: old photos of myself and my 'ex-boyfriend' during one of those 'Induction Balls' in college. Weee! That was 16 pounds, err, years ago! If only I wasn’t busy with the kids, I’d probably dig up old stuff from my cabinet. I want to find more “treasures”! The first time we went to Banchetto in Emerald, I was only able to try food from approximately 5 stalls. I have been forewarned there are so much food in the street it will be hard to decide what to buy. I didn't believe until I was already in the middle of a crowded lane waiting for my crepe. Also, the first time I went, I forgot to bring my camera and my brilliant brother-in-law brought a camera with no battery charge. Ayus. So this was my second time in Banchetto and I knew already what to expect. 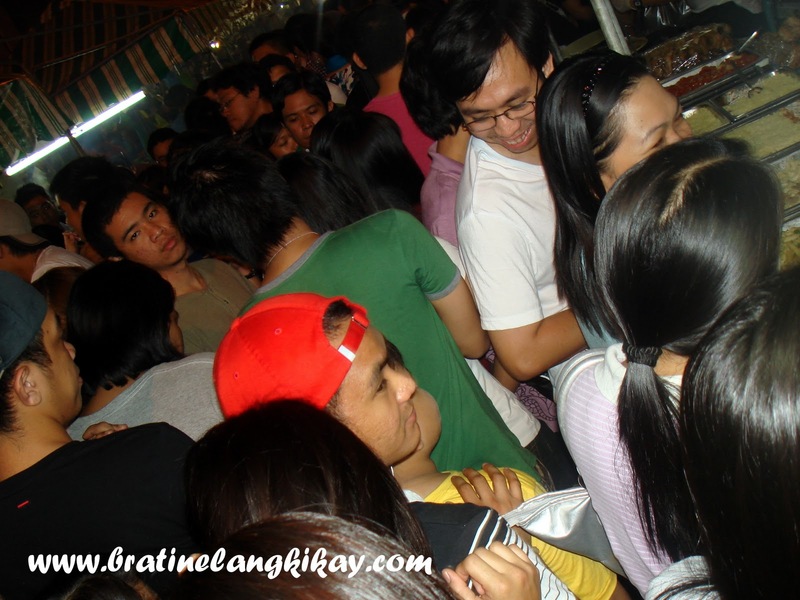 I knew there will be lots of people trying to squeeze themselves into a narrow alley of food, food, food! At first I thought it was fun, but when I wasn't able to move further for a good 5 minutes, I started to quietly panic. (meganun? 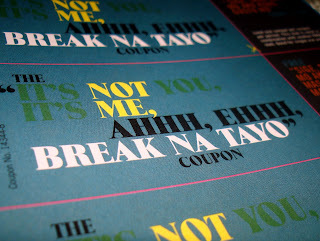 panic ng tahimik? hahaha!). I told Jeff to turn to the next corner available because I couldn't breathe anymore. Cebu lechon...if I recall correctly 1kilo is Php600. 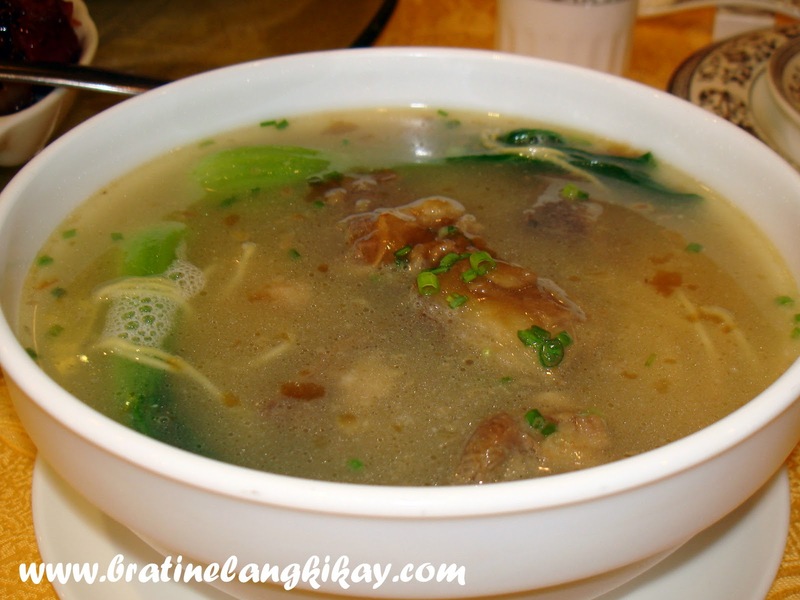 They also serve by meal - rice, dinuguan & lechon for Php90. 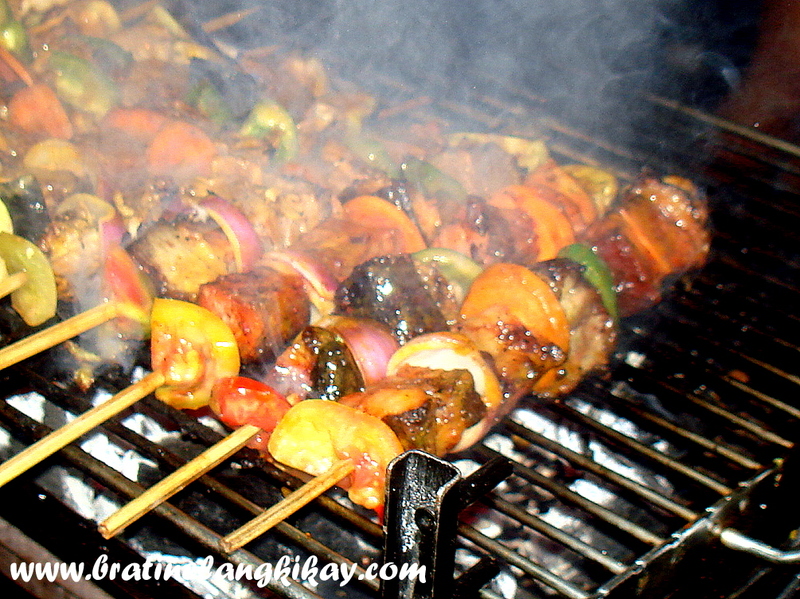 Another blockbuster hit at Banchetto is this stall that sells nothing but grilled. 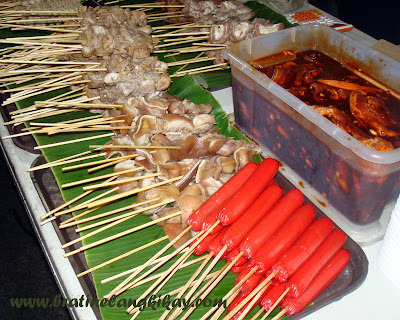 Isaw ng Baboy (pig intestine), Isaw ng Manok (chicken intestine), Tenga (pig's ears), Liempo (pork belly), hotdog, dried squid and many more. They grill almost anything! 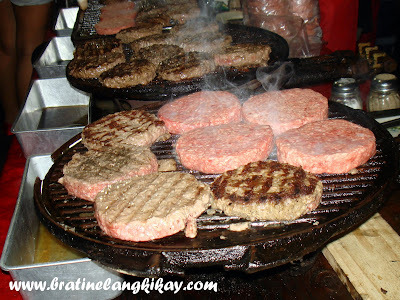 Everyone who's been to Banchetto would have tasted or least visited this stall selling Monster Burgers. These huge round of protein cost Php120 for the half pounder. The patty is so thick I wonder (worry) if it will ever cook properly. I didn't get to try these, one because I am not a fan of burgers and second was the line was so long and I just didn't have the patience to wait that night. 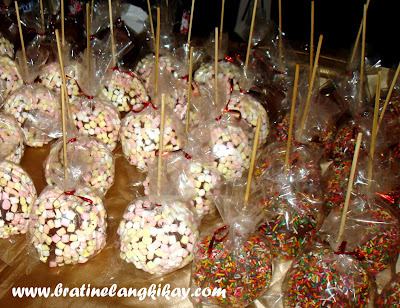 Aside from viands, burgers and main courses, there are also several stalls selling desserts. There was even one that sells chocolate fondue. I wanted to have cake and so was Jeff and it didn't take so much effort to spot the bakers. 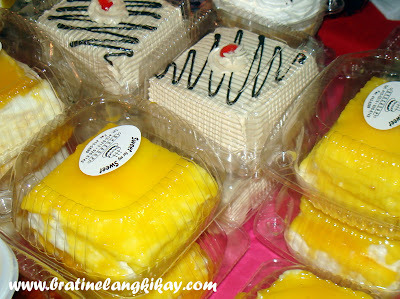 These cakes are being sold by Sweet for my Sweet. Some cakes sell for Php60, others at Php80. The fast moving items from my observation were those that sell at 3 for Php100. 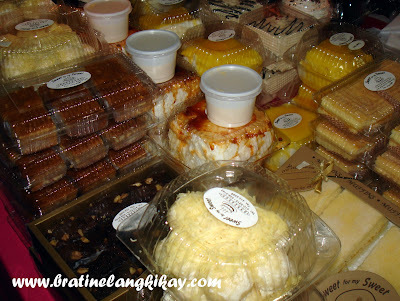 We arrived there while a few people were purchasing Braso De Mercedes so we did too. That may be the only food I tried that night that I didn't like. It's hard to describe the taste but I can only sum it up in one word - commercialized. This cheesecake has a story with no happy ending. 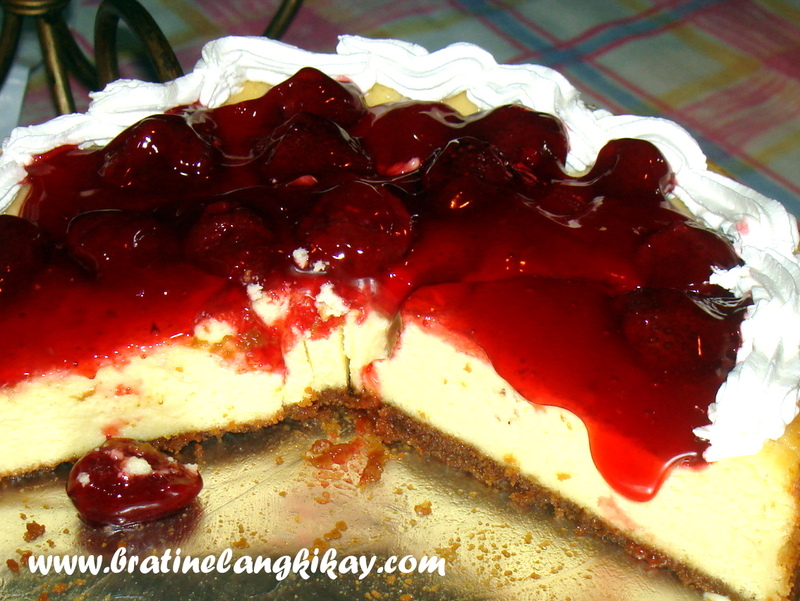 While Jeff's cake was being boxed, I bought a slice of this supposed to be strawberry cheesecake. I had high expectations because it really looked tempting...I should have resisted. I wasn't able to taste any cheese in this cheesecake. As in! I guess I wasn't lucky with desserts that night. From this second trip to Banchetto, I got to try around food from about 5 stalls again. That means I have about around 90 more to try. That means I will go back again soon. To learn Banchetto's schedule (there is one at Emerald, one in Libis and another at Pioneer), please visit their website. As a token of gratitude and appreciation to Tess for helping us keep in order our home and children for almost 2 years (and who will be leaving us to try another job opportunity), the entire household went to dinner at Choi Palace. 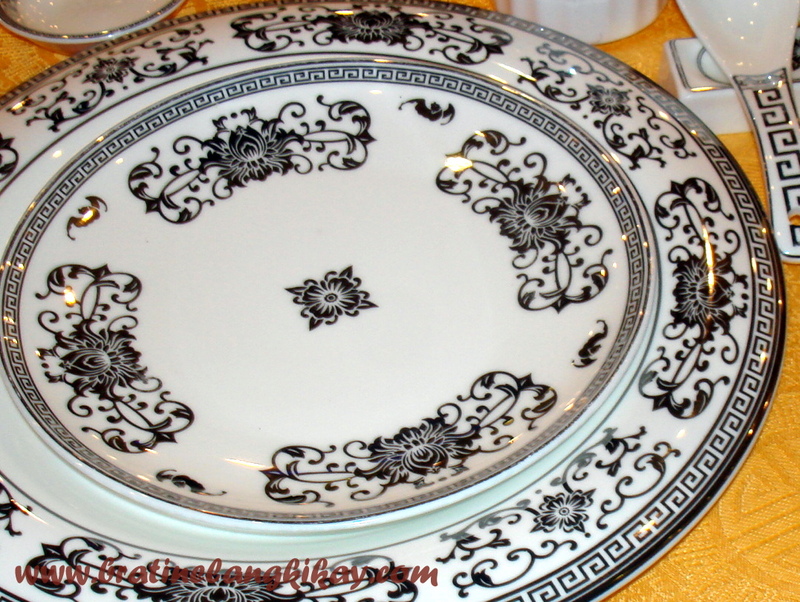 Choi Palace is a newly opened dining place at Eastwood Mall. It's the same as the one at the Atrium in Megamall but the location dictated the price difference on the menu. The restaurant in Eastwood Mall has a more 'sosyal' appearance. 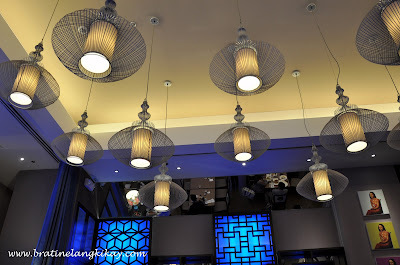 The ambiance is still very Chinese but the light fixtures added a modern twist to the setup. The first thing I noticed were the round tables covered with yellow-gold linen and surrounded by chairs dressed in red. Posh! We had the duck two-way. "First way" was duck skin adorned with spring onion and hoisin sauce and then wrapped in thick rice paper. 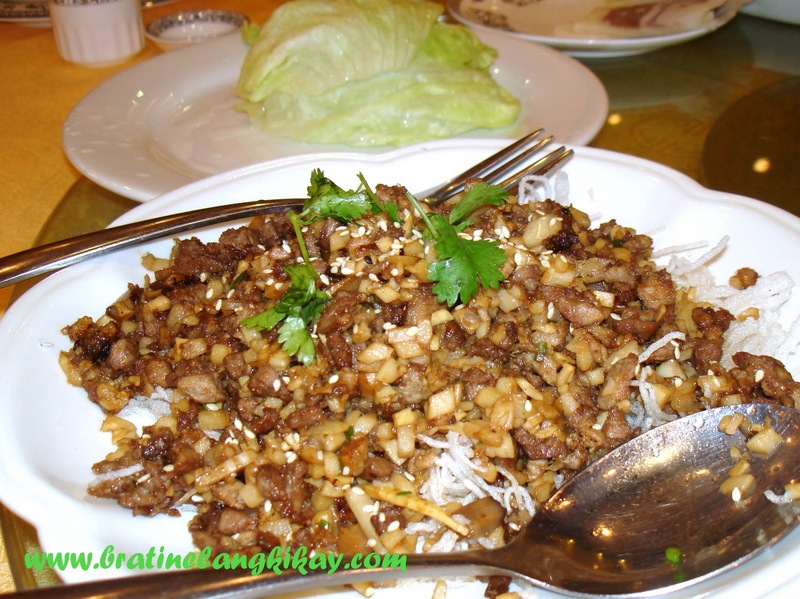 What remained of the duck - some skin, fat and meat were minced, tossed and cooked together. 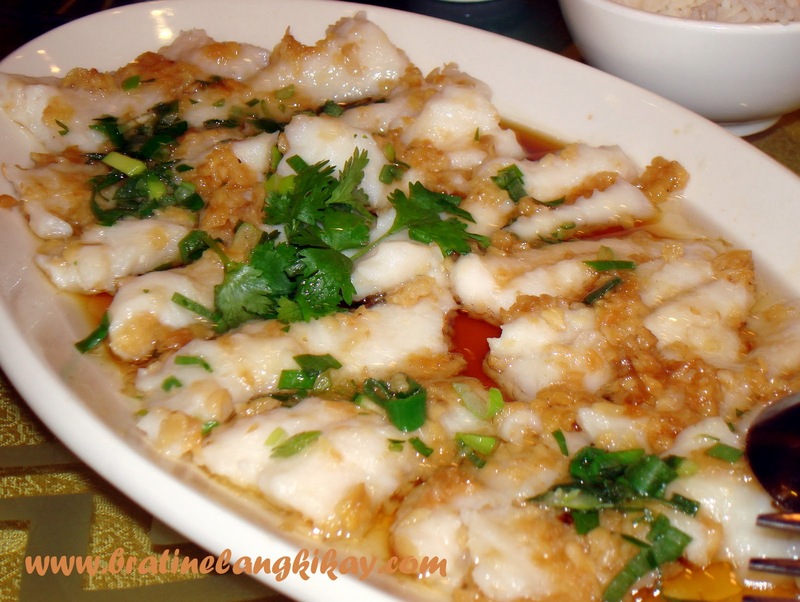 That's the second way, served with lettuce and hoisin sauce (again). 2nd way and then no way! 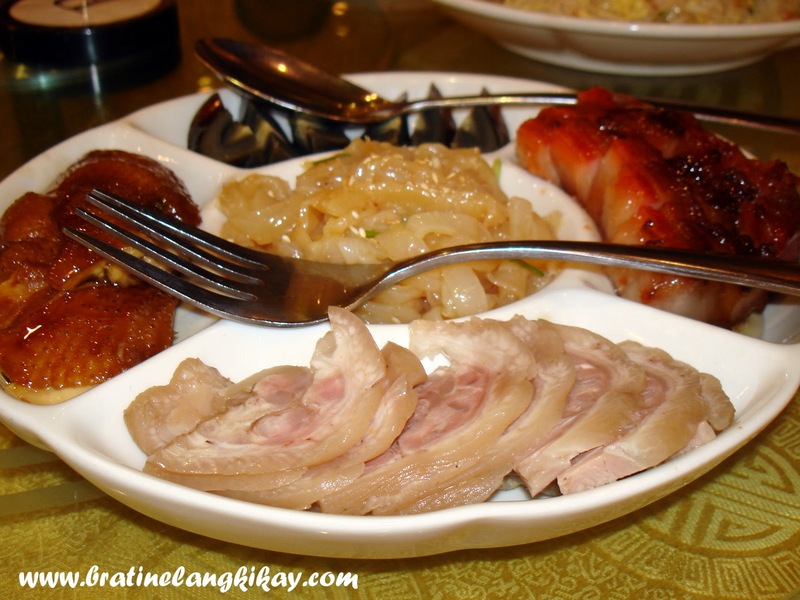 Cold cuts is a popular appetizer among Chinese restos and we are not going to pass up the chance to try them at Choi Palace. I didn't expect the chicken cuts which appears like embotido. It came with minced ginger and olive oil on the side similar to the condiments for Hainanese Chicken. 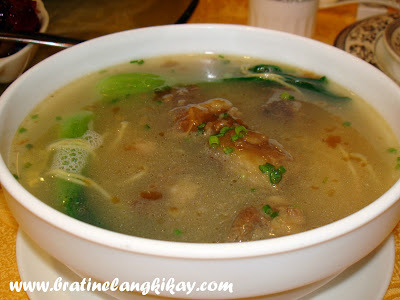 The kids want soup so we had Eone's staple, beef noodle soup. 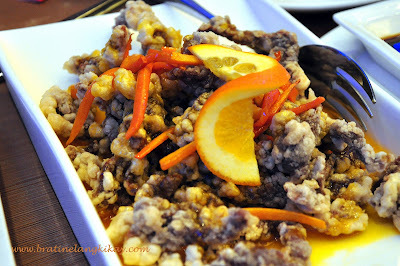 At Php140, I find the serving generous especially when I saw the huge chunks of beef. I thought Enoe, my 10-month old muncher, would love the noodle soup too. But no. He liked the Steamed Lapu-Lapu Fillet in Garlic better. At first I was kind'a hesitant to feed my son with the fish topped with tons of garlic so I tried a small piece first myself. The fish was very soft and tasty, and surprisingly the garlic flavor didn't register too strong. Hot Prawn Salad is The Hubby's favorite so we ordered (although the price disagrees with my budget). We asked only for the small serving which according to the order-taker was just enough for all of us. Eto sya.. 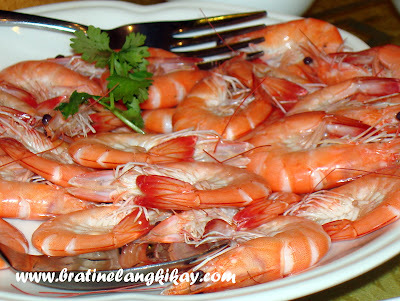 Although the prawns are fairly huge in size, there's just about 8 pieces and I think they put too much mayonnaise into the dish. 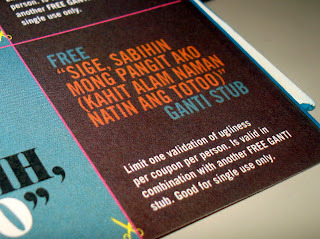 To me it's expensive for Php700, and for the small order. Despite having ordered already one prawn dish, my little girl insisted on ordering suahe. She probably saw it from another table. The minimum order is 300 grams (live, fresh from the aquarium) and silly waiter sent 400 grams of boiled suahe to our table. Most of these shrimps were taken home. ﻿Everyone enjoyed the food, especially my little boy. I had a blast feeding him; alternating soup, fish fillet and rice. We'll definitely go back at Choi Palace, probably when my in-laws are in town. I'm sure next time we're dining will be better. The Hubby and I have already noted what NOT to order next time. Choi Palace is at the 3rd Level, Eastwood Mall, Eastwood City Cyberpark, Libis. We always plan to do something for the less fortunate, and most of the time, despite our sincere desire, we just couldn't find the means and the time to help. True or false? Christmas paved the way for my colleagues and I to do a simple project for this small orphanage in Pasig. Instead of our usual Kris Kringle, we circumvented the "rules" and chose to be the personal Santa of each beneficiary child from Tahanan ng Pagmamahal Children's Home. Our colleagues from Sydney also sent their contributions which made the outreach program even more meaningful. I am most touched and thankful to the beautiful people of Moreton Bay Technology for sharing their blessings to these kids. Words are not enough for them to express how much they appreciate the time we spent with them. Every cent we gave was paid off by their sweet smiles, laughter, and warm embraces. I am not posting this to brag about how good we are. A true act of charity should be made in silence. However, I want to share with everyone the joy of being able to make a child happy and perhaps inspire others to do the same. By the way, Tahanan ng Pagmamahal receives no financial support from the government. 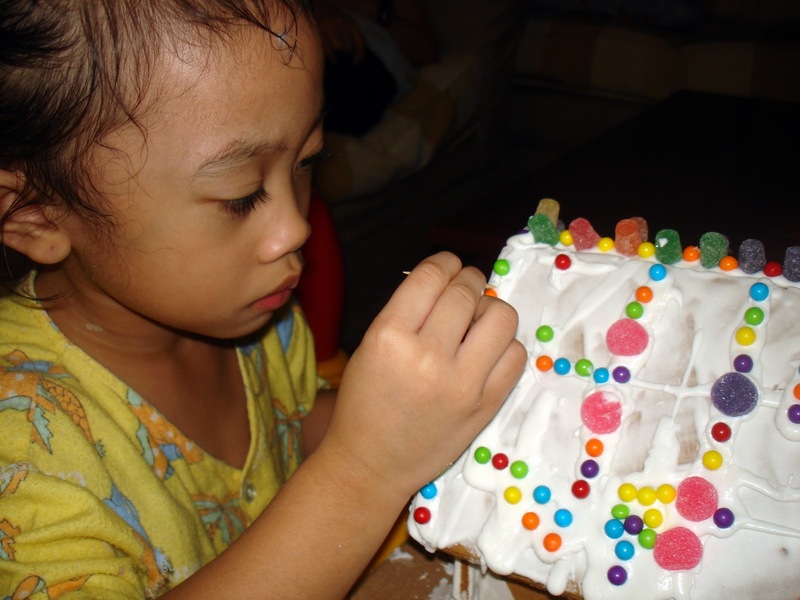 They are able to continue housing these children purely from the grace of God in the form of donations from kindhearted individuals and groups. The orphanage is in constant need of funds and donations in kind like rice, canned goods, breakfast items, toiletries like soap, shampoo, detergents, etc. If interested please call (02) 393 22 04. Look for Menchie or May. I came across this teaser of a local flick… I suspect this is more comedy than horror and it better be because Roderick Paulate and Eugene Domingo are both in the cast. I normally don't watch tagalog movies (except for Tanging Ina) but this one I will mark in my calendar. 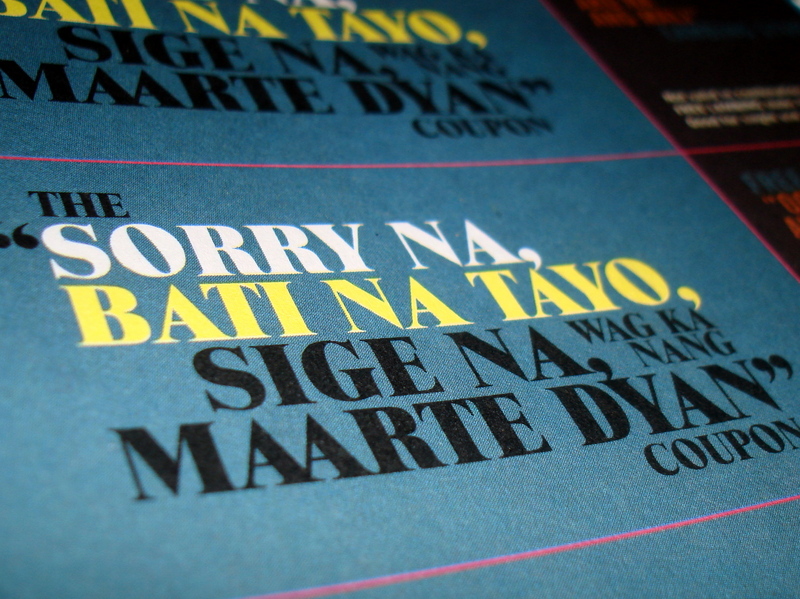 Chos! When is this showing? I hope soon. 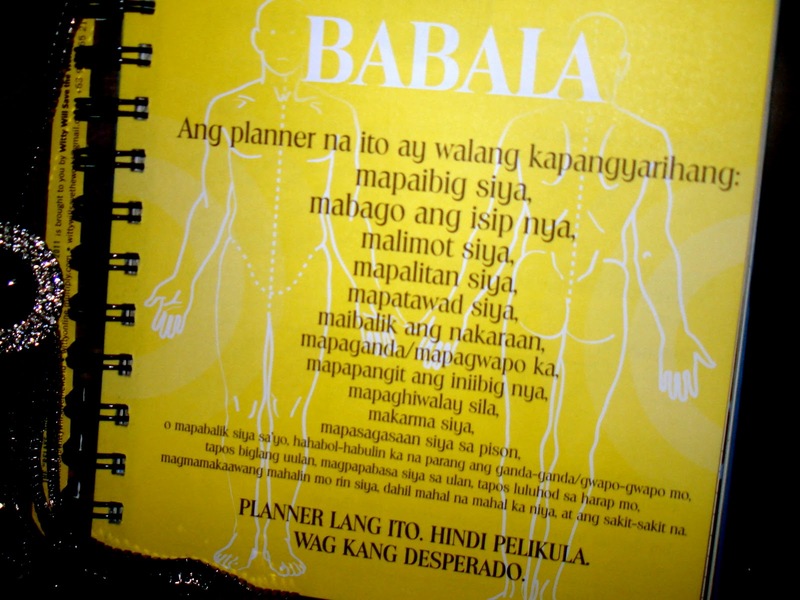 When a friend showed the planner to me, I turned green with envy. I knew I just gotta have it. It doesn't matter that I am happy with my lovelife (and my kids) and that the planner is meant for those people whose 'heart was broken into a gazillion pieces' and need a bonk in the head in order to wake up from a love spell. 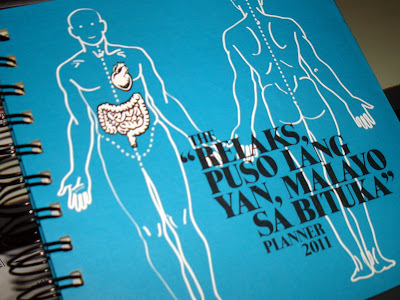 I won't be a certified kikay without a planner that is as cool as this one. Someone commented, "pang kiriray po ito e!" but what the heck. 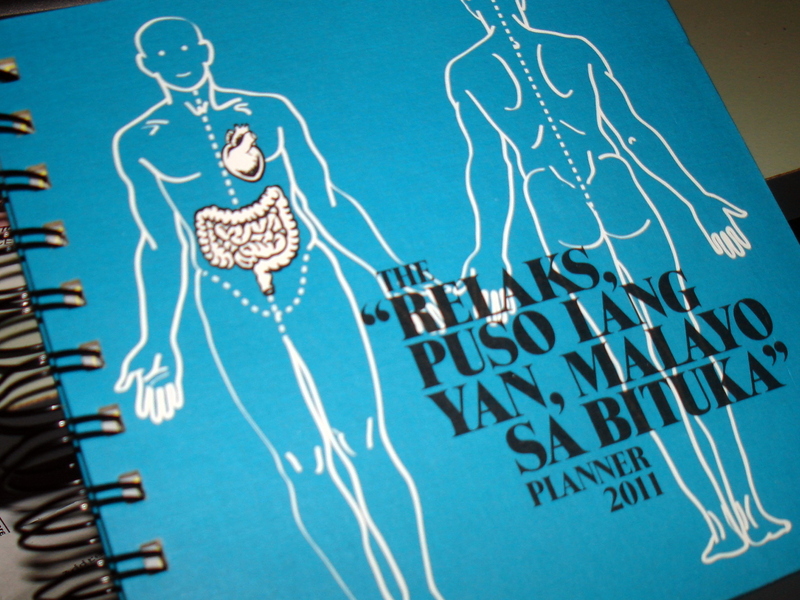 I even abandoned by used-to-be-much-coveted Starbucks planner for this one. There's even a horoscope page for every month. Seems reliable :-) See, those born under Pisces may expect good fortune for the month of January...but you need to confirm, ok? Important 'historical' events were also marked so we don't forget. 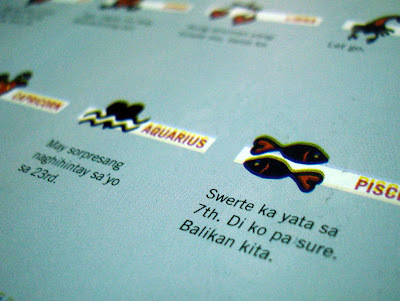 I bet you didn't know April Boy was born on the 9th of April 1969 (hence his name)... o-ha! 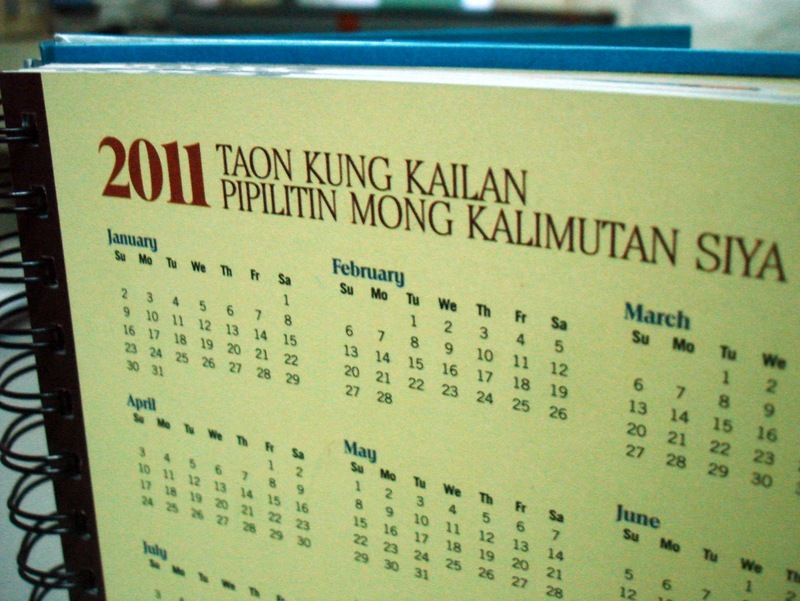 Ako din, ngayon ko lang 'to narealize! 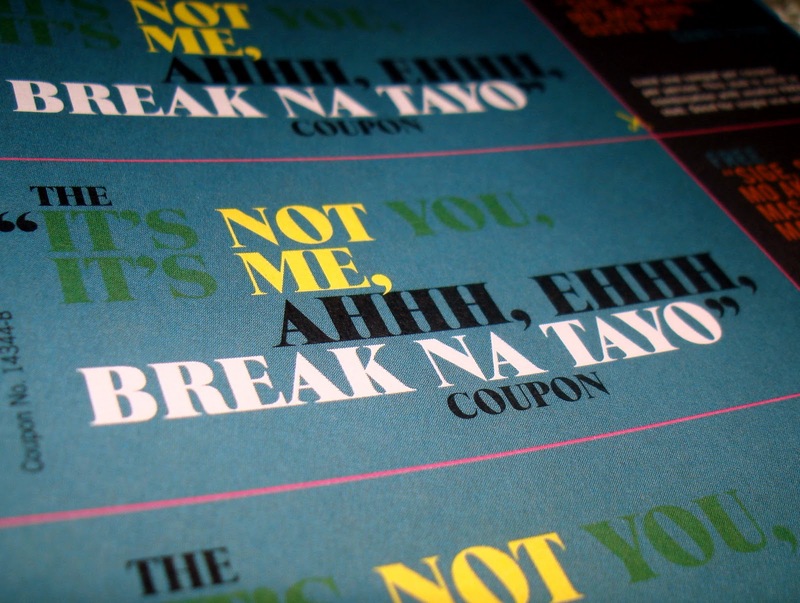 The planner also comes with free coupons and stubs both you and partner can use. Use one at a time.. I'm not sure if they're still open for orders, but try checking here. 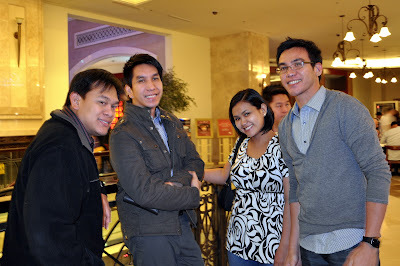 With little time to plan for an out of town, I suggested we go to Resorts World instead. But before we hit the gambling arena, we all agreed to have dinner first. We wanted to dine quickly and not wait for a table and the nearest we came upon was Johnny Chow. 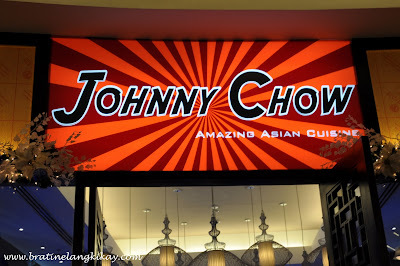 The food at Johnny Chow is a mix of Malaysian, Singaporean, Chinese and Korean. 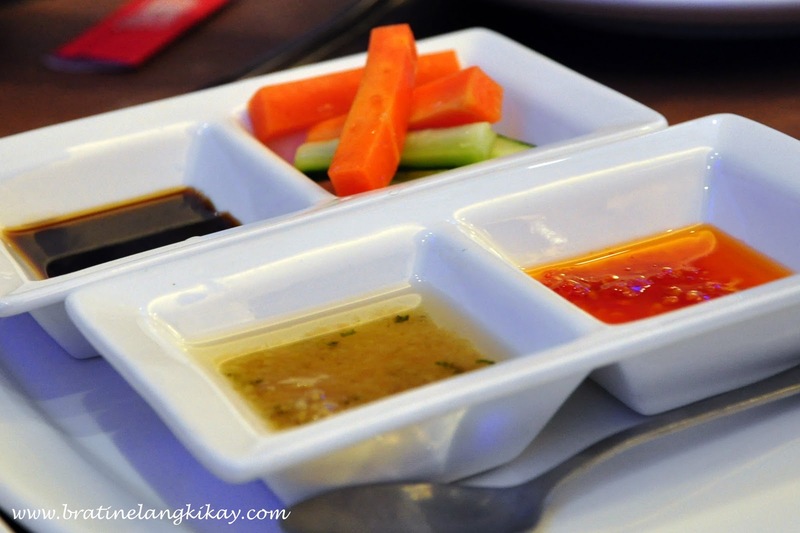 A bit complicated but the self-proclaimed by-line 'Amazing Asian Cuisine' denotes the confidence that their food will not fail anyone's taste buds. Let's see. I had an inkling this restaurant is part of the Mr. Kurusawa and Sumo Sam restaurants group. The concept, decor and get-up of the staff are just too similar. 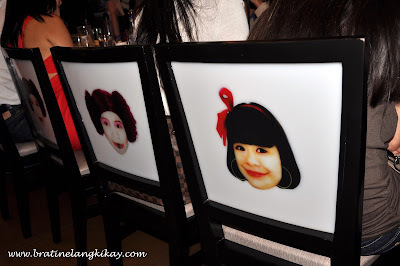 First thing I noticed in the resto are the crew's colored wigs. Edwin said they looked like the Amazonistas from Planet X.X.X in Zsa Zsa Zaturnnah and I agree. Kulang nalang armas! The restaurant was tastefully decorated. 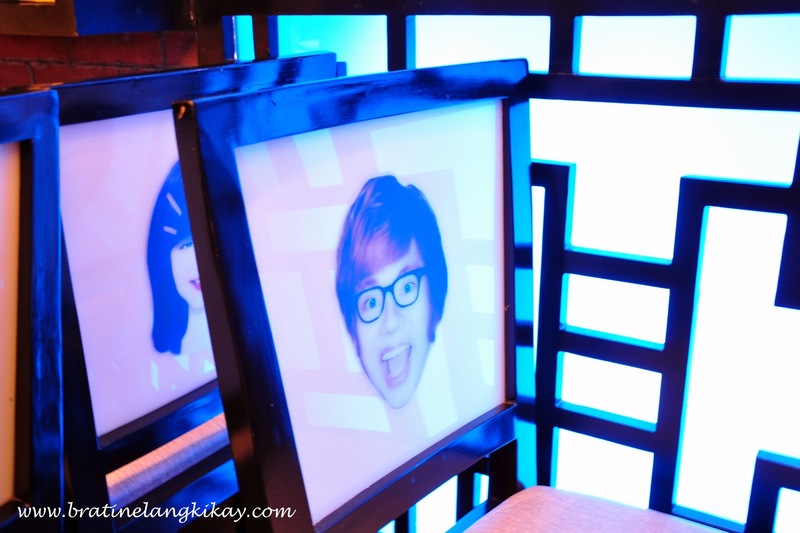 They put up portraits of Mona Lisa wearing a cheongsam along with her signature smile. The East Meets West mood was set perfectly by blue wall panels, lighting, Asian decors and books. I also like their chairs. They are full of character - literally. As for the food, the menu card was short and simple. 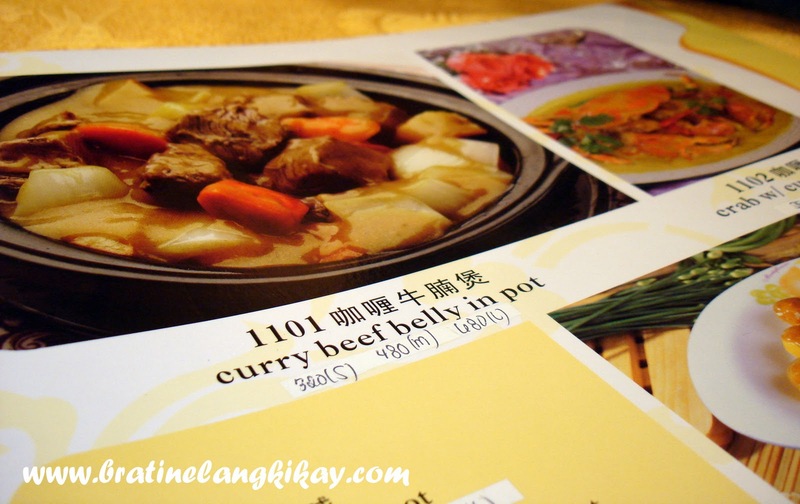 There are only a number of selections per dish category so deciding what to eat was not at all difficult. We started with Sweet Corn and Crabstick soup. The order-taker told us the order is good for 3 pax only but I seldom believe waiters when they tell me about portioning (when they say it's good for 1, it's actually for 2) so we just ordered one bowl. True enough all six of us was able to enjoy 1 serving. 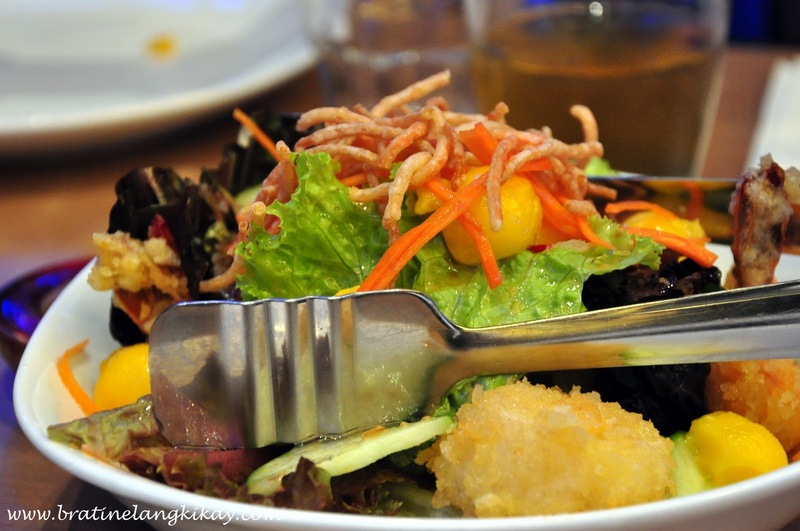 Edwin wants to have salad so we tried Crispy Prawn and Scallop. 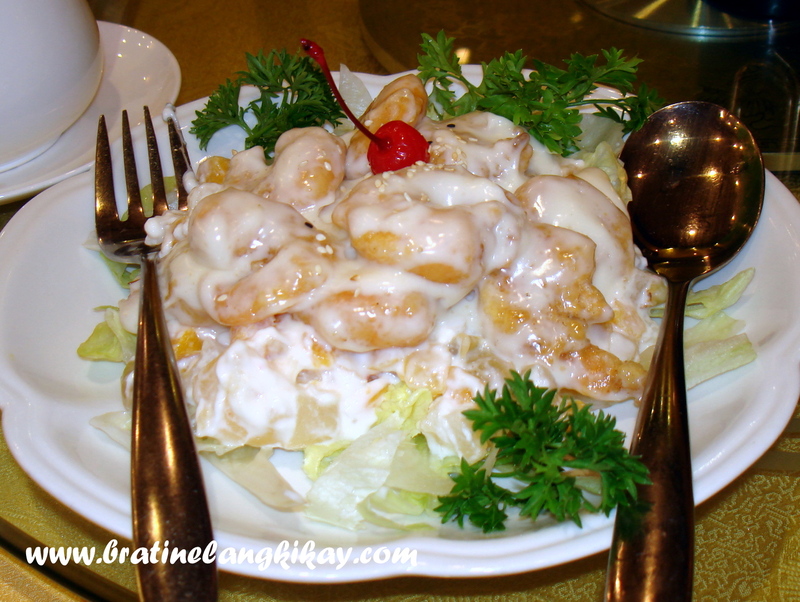 The serving has a generous portion of prawns, and the veggies are crisp and fresh. Before we decided to try Johnny Chow, we were waitlisted at Tao Yuan which boasts of the best Hainanese Chicken in the universe town. I have tried it and it was unforgettable (yeah, so unforgettable that I forgot to blog about it haha). However, the waiting time to get a table that Friday night was already ridiculous according to our stomachs. 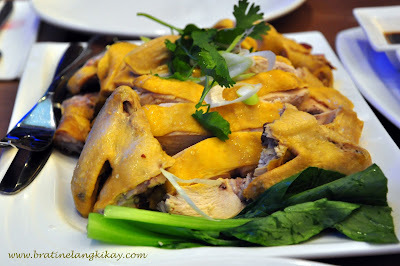 Anyway, Johnny Chow also offers Hainanese Chicken. 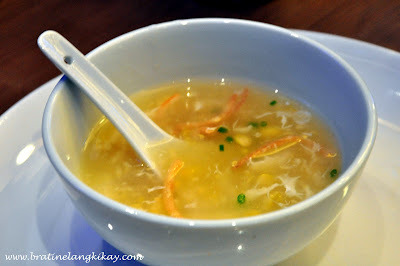 I must say it's a bit dry and not as tender as that of Tao Yuan, nevertheless, it still did not disappoint us. For our beefy fix, we tried Mandarin Orange Beef. Personally, I didn't like this dish. It's a little too sour and the beef strips were overcooked. 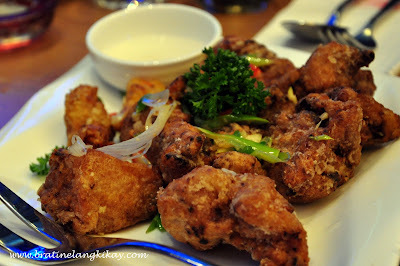 On the otherhand, the Salt and Pepper Spareribs delivered as expected. 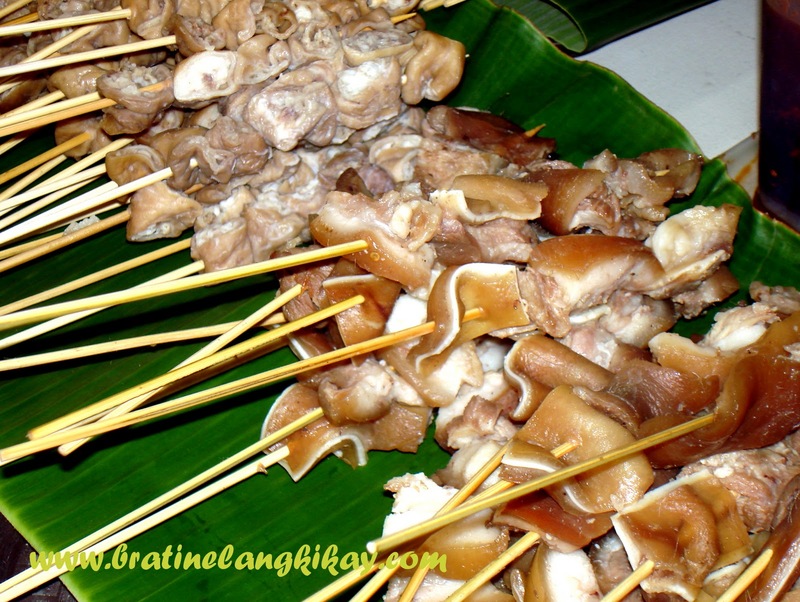 There is a good proportion of meat and fat and the pork was not too oily. I just wish they put more pepper before frying. 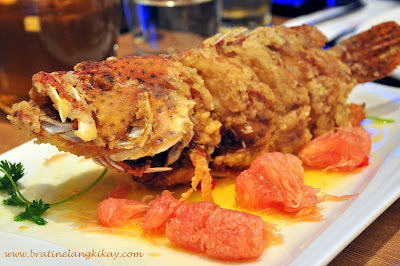 Lastly, we had the Crispy Lapu-Lapu in Cilantro and Pomelo. I may be just ignorant or my taste buds malfunctioned that night, but I hardly noticed the cilantro in this dish. But in fairness, the fish was crispy and huge enough to be shared by at least 3 people. I didn't get to take a photo of the megalicious Yang Chow Fried Rice and the very unique Apple Cinnamon Iced Tea. But that's okay, I bet everyone knows how a fried rice and ice tea look like. Hehehe. With or without photos, they are highly recommended and worth a try.